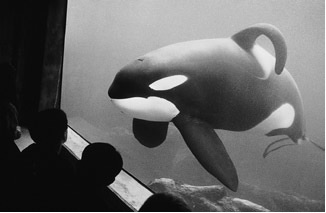 Q: Do Whales and Dolphins born into captivity want to be released into the Ocean? A: We are the Cetaceans, and we all yearn to be free – whether born in captivity, or born in the Ocean and then put into captivity. We, born in captivity, still know about being free. We still yearn to be in the Ocean with our greater extended family and smell the Ocean air and feel the wind as we breach. We cannot do these things in a tiny pool, and it is our innate nature to swim fast and breach in the wind, and feel the Ocean's salt water that heals our wounds and caresses our skin. The pool's water is warm and the sun hot, with no relief during the day. We feel suffocated in our pools, and can only imagine ourselves out in the Ocean's cool air and feeling the Ocean in our souls; for the Ocean's currents call to us, even in captivity. Yes, we were born in tiny pools, unable to fly like the wind, but that doesn't stop us from yearning to do so – just as a crippled athlete doesn't stop wanting to run, or a person born crippled doesn't stop yearning to walk – so do we continue to yearn to be free – as we were meant to be. We thank you for this question. We are the Cetaceans – the One Group Mind talking to you across the waves. Thank you for connecting to us – we have been expecting you. 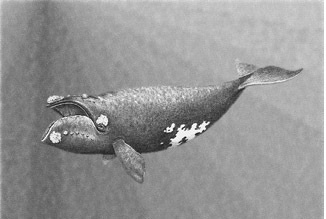 These baby Right Whales chose not to complete their full incarnational cycle on Earth, due to the many dangers involved. It was the group consensus to leave their embodiment after only a few months, in order to call attention to their dire plight in the Oceans, and to call attention to the dangers that all Sea Life now faces. Life in the Oceans has become exceedingly dangerous and the Right Whales have only a few hundred of their kind left. They see no hope to re-populate because of the overwhelming odds against their growing to maturity. So they left – to call attention to them and to all Cetaceans in hopes that humans would recognize they are polluting the Oceans and killing the life forms that inhabit there. It is a courageous act for ones so young – but even the young Cetaceans are more aware at an early age than elderly adult humans ever become. The Spiritual Hierarchy concurred in their decision, and the baby Right Whales just made an easy transit out of their physical bodies returning to their home planet. Seeing what was ahead of them, and not wishing to experience the pain and trauma, it made more sense to use this method in hopes of calling attention to the dangers they would otherwise be forced to face. Do you understand? Yes, it was the pollution, radiation from wastes buried in the Oceans, radiation from nuclear power plants, toxins from so many sources, noise, fishing vessels, and on and on. It just felt senseless to them to continue struggling to survive and die alone, one by one, unnoticed, when dying en masse would serve to bring attention to them in hope of bringing the understanding to humans that they must leave the Oceans alone; that the Oceans are not dumping grounds for wastes, nor are they killing grounds to kill and torment their species. We thank you for this opportunity to speak through you. Chromosomes are long, organized strands of DNA and proteins found in your cells. 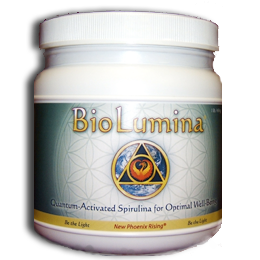 These strands dictate all the processes that occur in your cells. At each end of every chromosome strand, you have a telomere. Telomeres are like the caps on our chromosomes inside the DNA. Telomeres keep the chromosomes intact and from becoming frayed. Each time the cell divides, the nerve endings get frayed and the telomeres get shorter, which means important DNA information is lost during each cell division. 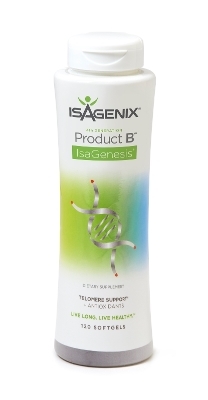 Shortened telomeres are linked to aging and degeneration. For more information call me (585) 802-4530 or click here.